UFV researchers analyzed over 5,000 fires for the Surrey Fire Service, to help design the internationally renowned HomeSafe program — saving more lives locally + beyond. The City of Surrey’s HomeSafe project: Evidence Based Fire Reduction Strategy (developed with research conducted by University of the Fraser Valley) was selected as a recipient of the 2013 International City/County Management Association (ICMA) Community Health & Safety Award. The award recognizes local government programs or processes that demonstrate innovation, excellence, and success in the community’s safety, health, and/or wellness, including enhancement in the quality of life for the disadvantaged. As a result, a short video on the HomeSafe project was broadcast to 20,000 delegates at the International Association of Fire Chiefs conference August 13-17, 2013 and will be shown to 12,000 delegates at the ICMA Conference September 22-25, 2013. Research undertaken by the University of the Fraser Valley, examining nearly 5,000 structure fires in Surrey over a 20-year period, demonstrated that certain people, properties and neighbourhoods have a greater fire risk than others. Over 75% of Surrey’s structure fires involved residential properties. Fire incidence was not random. For example, it increased when occupants smoked, were elderly, had a disability or had mental health or substance use issues. Residential structure fires tended to be clustered geographically, based on dwelling use, sources of ignition (e.g., cooking, open flames), and the presence of functioning smoke alarms. Research into international fire education best practices pointed Surrey towards developing a custom home visitation program to address these trends. Working in partnership with the Surrey Local Branch of the International Association of Fire Fighters (#1271), the Surrey Fire management team developed a strategy by which neighbourhoods with the greatest fire risk were identified from the distribution of recent fires across Surrey, combined with concentrations of high-risk residents (as a consequence of factors such as age, family structure, and lifestyle, as determined based on Census data). Each of Surrey’s 17 fire halls received an equal number of information packages to distribute and a list of addresses to visit. Scheduled firefighter training was suspended for a two-week period, during which crews delivered an average of 2,620 information packages. Uniformed firefighters went door-to-door to educate residents about fire safety, provide an information package, and offer to install a free smoke alarm on the spot (a signed waiver is required). A letter from the Fire Chief outlining the purpose of the initiative and reinforcing the offer of a free home safety inspection and smoke alarm installation. If residents were not home, the package was left on their doorknob. More than 37,500 homes had been visited as of the end of 2012. After the initial cost of $4,900 for information materials, the program’s total annual cost has ranged from $2.54-$2.96 per home visited. Implementation costs for the first two years of the program came to less than $63,000. Sponsorship from the Surrey Fire Fighters’ Charitable Association and a local shopping mall has funded the cost of the smoke detectors, and media coverage and free public announcements have been utilized to advertise the program. Further, by reducing fire-response costs, the program has freed up resources to direct to other priorities. In researching other international best practices while developing HomeSafe, Surrey found that other visitation programs lacked conclusive, formal evaluation and often became victims of their own success, with funding and focus redirected after the problems were perceived to have been resolved. Surrey was determined to avoid these pitfalls and further develop the concept. Consequently, Surrey Fire Service’s Strategic Analyst, Dr. Joseph Clare, undertook a formal evaluation of HomeSafe after the program had been in effect for two years and had reached 18,473 addresses, representing about 14% of all Surrey homes (excluding apartments). High-risk control groups (composed of addresses scheduled to be visited post-evaluation) were used to evaluate the impact. Based on data from two years prior to the first wave of delivery, the annual rates of fires per 1,000 dwellings in each group were calculated and compared. This process revealed a 64% reduction in the annual rate of fires for HomeSafe houses – approximately 4.4 times greater than the reduction (15%) observed in the high-risk controls over the same period. This translated to a reduction in the frequency of house fires in the HomeSafe areas from once in every 97 days before the intervention to once in every 193 days afterwards. The control groups, in comparison, observed a frequency decrease of only 3.7 days per fire. Smoke alarms were activated in 46.2% of cases, compared to 17.2% pre-intervention – a 169% increase. 38.6% of fires were confined to the object of origin, compared to 11% pre-intervention – a 251% increase. Average loss of $33,486, compared to $66,707 pre-intervention – a 50% decrease, despite a growth in average property values in the target areas from $380,000 to $405,000. HomeSafe was the first program of its kind in North America to be subjected to a formal evaluation, published in the March 2012 edition of the Journal of Safety Research, authored by Dr. Joseph Clare, Fire Chief Len Garis, Dr. Darryl Plecas (University of the Fraser Valley), and Dr. Charles Jennings (John Jay College, New York) under the title “Reduced Frequency and Severity of Residential Fires Following Delivery of Fire Prevention Education by On-duty Fire Fighters: Cluster Randomised Controlled Study” as well as other trade journal publications, including the Fire Chief magazine (estimated readership 300,000 per month). HomeSafe also built on the concept developed in the UK by employing local fire and demographic data to target neighbourhoods historically associated with fire risk, as well as emerging fire hotspots. The program continues to rely heavily on ongoing analysis of fire data, to enable Surrey to continually target new neighbourhoods with the highest incidence of fire. HomeSafe is a proactive, evidence-based fire prevention program that uses local fire and demographic data to identify fire hotspots in the community for door-to-door firefighter visits and smoke alarm giveaways. 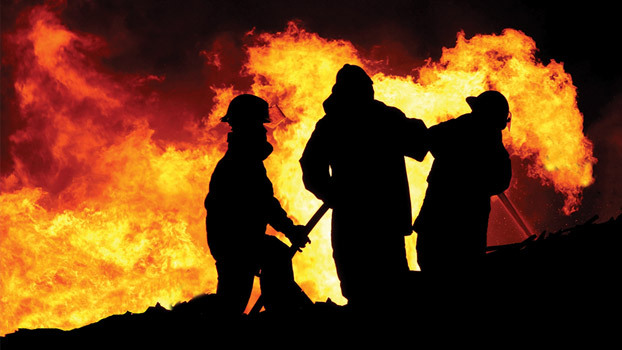 The program is contributing to reduced fire losses, deaths and injuries in Surrey. Formal evaluation showed that in its first two years alone, HomeSafe reduced the annual fire rate in Surrey’s highest risk homes by 64% and prevented an estimated $1.26 million in fire losses. HomeSafe also increased smoke alarm activations and reduced fire size and spread. No equivalent program, based on this process or evaluated in the same manner, exists anywhere else in North America.